NAZARLOO, A. , FEYZI, M. R. , SABAHI, M. , BANNAE SHARIFIAN, M. B. The electric vehicles (EVs), depending on the charging or discharging modes, can act as flexible loads or as flexible energy sources. Therefore, this paper proposes a method for achieving the following objectives: improvement the voltage profile of the point of common coupling (PCC), control the charging and discharging of EVs in an appropriate scheduling so that at the end of the charging and discharging process all EVs are fully charged, improvement the profiles of active and reactive loads based on the peak shaving and the valley filling, charging rate control and energy management for the economic justification of vehicle to grid (V2G) technology based on the proposed method. Considering that the penetration of EVs and state of charge (SOC) of battery at any time is random, this paper extracts and analyzes the data that is available through national household travel surveys (NHTS). In order to determine the desired parameters, two stochastic algorithms are integrated with Monte Carlo simulations. To prove the performance superiority of the proposed method over conventional methods under high EVs-penetration, an IEEE 14-bus system is used for real-time simulation. Y. Saber and G. K. Venayagamoorthy, "Intelligent unit commitment with vehicle-to-gridA cost-emission optimization," J. Power Sources, vol. 195, pp. 898911, 2010. Y. Fan, W. Zhu, Z. Xue, L. Zhang, and Z. Zou, "A multi-function conversion technique for vehicle-to-grid applications," Energies, vol. 8, no. 8, pp. 7638-7653, 2015. M. Singh, "Real-Time coordination of electric vehicles to support the grid at the distribution substation level," IEEE Syst. J., vol. 9, no. 3, pp. 1000-1010, Sept. 2015. R. Sioshansi and P. Denholm, "Emissions impacts and benefits of plug-in hybrid electric vehicles and vehicle-to-grid services," Environmental Sci. Technol., vol. 43, pp. 11991204, 2009. W. Kempton and J. Tomic, "Vehicle-to-grid power fundamentals: Calculating capacity and net revenue," J. Power Sources, vol. 144, pp. 268279, 2005. S. Han, H. Han, and K. Sezaki, "Development of an optimal vehicle-to-grid aggregator for frequency regulation," IEEE Trans. Smart Grid, vol. 1, no. 1, pp. 6572, Jun. 2010. J. R. Pillai and B. B. Jensen, "Integration of vehicle-to-grid in the western Danish power system," IEEE Trans. Sustain. Energy, vol. 2, no. 1, pp. 1219, Jan. 2011. A. Hajimiragha, C. A. Cañizares,M.W. Fowler, and A. Elkamel, "Optimal transition to plug-in hybrid electric vehicles in Ontario, Canada, considering the electricity-grid limitations," IEEE Trans. Ind. Electron., vol. 57, no. 2, pp. 690701, Feb. 2010. J. Donadee, and M. D. Ilic, "Stochastic optimization of grid to vehicle frequency-regulation capacity bids," IEEE Trans. on Smart Grid, vol. 5, no. 2, pp. 1061-1069 Mar. 2014. E. Sortomme and M. El-Sharkawi, "Optimal combined bidding of vehicleto-grid ancillary services," IEEE Trans. Smart Grid, vol. 3, no. 1, pp. 7079, Mar. 2012. S. Wang and Z. Wang, "Grid power peak-shaving and valley-filling using vehicle to grid systems," IEEE Trans. on Power Del., vol. 28, no. 3, pp. 1822-1828, Jul. 2013. K. Clement Nyns, J. Driesen, and E. Haesen, "The impact of charging plug in hybrid electric vehicles on a residential distribution grid," IEEE Trans. Power Syst., vol. 25, no. 1, pp. 371-380, Feb. 2010. Y. Ota, H. Taniguchi, T. Nakajima, K. Liyanage, A. Yokoyama, and J. Baba, "Autonomous distributed V2G (Vehicle to Grid) satisfying scheduled charging," IEEE Trans. Smart Grid, vol. 3, no. 1, pp. 559564, Mar. 2012. Y. Ma, T. Houghton, A. Cruden, and D. Infield, "Modeling the benefits of vehicle to grid technology to a power system," IEEE Trans. Power Syst., vol. 27, no. 2, pp. 10121020, May 2012. M. Singh, P. Kumar, and I. Kar, "Implementation of vehicle to grid infrastructure using fuzzy logic controller," IEEE Trans. Smart Grid, vol. 3, no. 1, pp. 565577, Mar. 2012. M. Singh, P. Kumar, and I. Kar, "Designing a multi charging station for electric vehicles and its utilization for the grid support," IEEE PES General Meeting, pp. 1-8, San Diego, CA, Jul. 2012. E. Pashajavid, M. Aliakbar Golkar, "Charging of plug-in electric vehicles: Stochastic modelling of load demand within domestic grids", 20th Iranian Conf. Electrical Engineering (ICEE), Tehran, 2012, pp. 535 - 539. S. Shao, M. Pipattanasomporn, and S. Rahman, "Challenges of PHEV penetration to the residential distribution network," in Proc. IEEE Power Energy Society General Meeting, Calgary, AB, Canada, 2009, pp. 18. C. Camus, C. M. Silva, T. L. Farias, and J. Esteves, "Impact of plug-in hybrid electric vehicles in the Portuguese electric utility system," in Proc. IEEE Power Engineering, Energy and Electrical Drives Conf., Lisbon, Portugal, 2009, pp. 285290. Z. Darabi, and M. Ferdowsi, "Aggregated impact of plug-in hybrid electric vehicle on electricity demand profile," IEEE Trans. Sustainable Energy, vol. 2, no. 4, pp. 501-508, Oct. 2011. M. Yilmaz and P.T. Krein, "Review of the Impact of Vehicle-to-Grid Technologies on Distribution Systems and Utility Interfaces," IEEE Trans. Power Elec., vol. 28, no. 12, pp. 5673 - 5689, Dec. 2013. 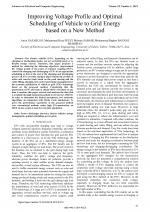 M. Baran and F.Wu, "Network reconfiguration in distribution systems for loss reduction and load balancing," IEEE Trans. Power Del., vol. 4, no. 2, pp. 14011407, Apr. 1989. 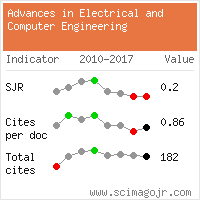 Citations for references updated on 2019-04-22 15:14 in 165 seconds.